Traditional management was invented for very different times and is today in serious trouble. 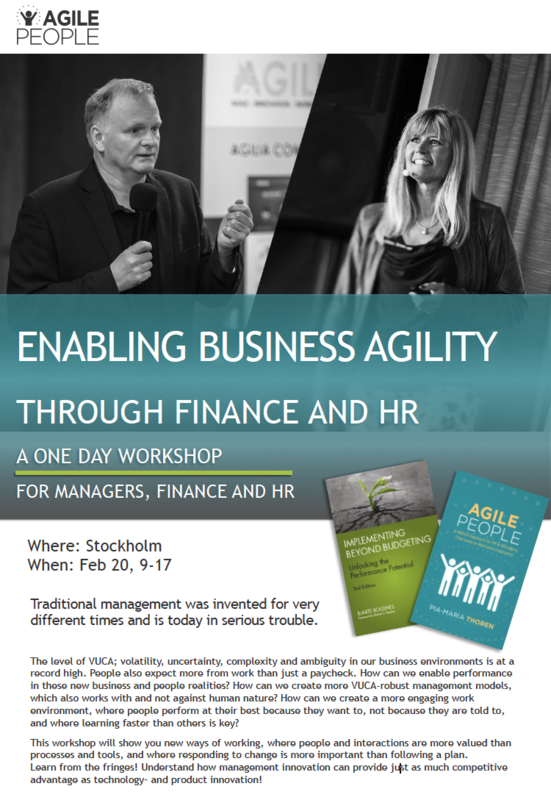 In this workshop, you will get unique insights into Business Agility in practice, both from a managerial, financial and human perspective. 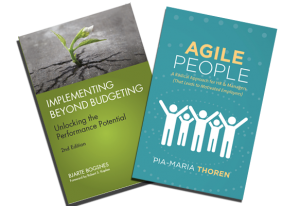 You will benefit from Bjarte Bogsnes’ and Pia-Maria Thorén’s extensive experience from organizational and managerial models and cultures which enables performance and success in a complex world. Companies all over the world have embarked on radical transformation journeys, including Equinor (formerly Statoil) – where the budget (and much more) was kicked out 2005.
and participants will have the opportunity to try out different exercises in groups. Learn how to trust and empower without losing control, and how to redefine performance – with dynamic and relative targets (or no targets at all) and a holistic performance evaluation. The workshop will also cover dynamic forecasting and resource allocation, as well as other examples of self-regulating management mechanisms, including transparency and peer pressure. 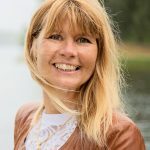 Bjarte will also share insights into KPI pitfalls and the bonus problem and Pia-Maria will talk about the importance of psychological safety to release creativity, learning ability and performance. Download the workshop program by clicking on the image below. Bjarte has a long international career, both in Finance and HR, and almost 25 years of experience from implementing Beyond Budgeting. He is the author of the book “Implementing Beyond Budgeting” where he describes the implementation at two large European companies, Equinor (formerly Statoil) and Borealis. 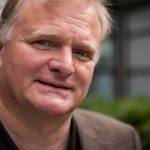 Bjarte is the chairman of Beyond Budgeting Roundtable (BBRT) and is a popular international business speaker. Bjarte is also the winner of a Harvard Business Review/McKinsey Management Innovation award. Workshop June 3, 9-17 Stockholm English here.